Ohhhh yummy. 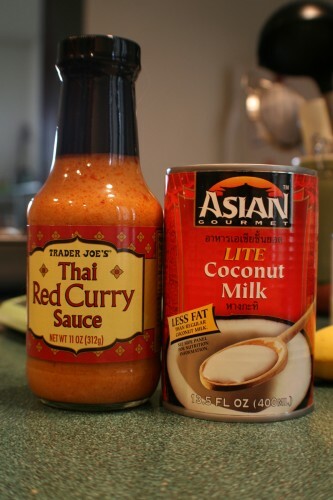 With just a little help from Trader Joe’s, I was able to make some delicious red curry! I used one bottle of Trader Joe’s Thai Red Curry sauce, a can of lite coconut milk, 2 tbsp of brown sugar, some mushrooms and red peppers, and chicken. Was easy peasy and delicious! This entry was posted on June 1, 2012. It was filed under Cooking. 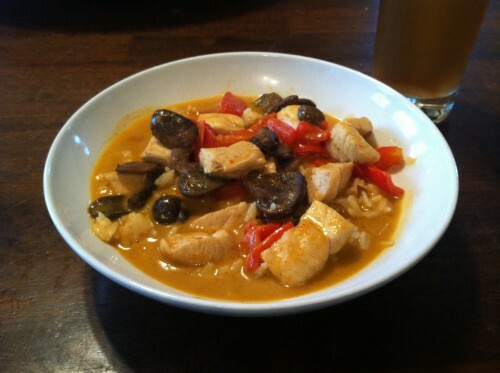 The green curry sauce is good too!